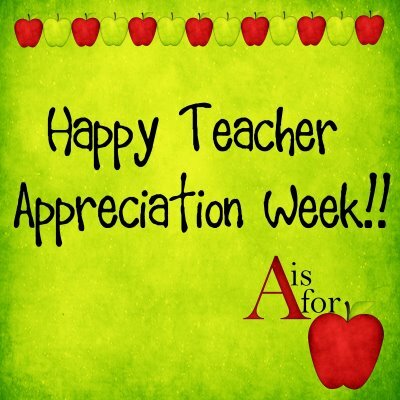 Today is the last day of Teacher Appreciation Week for 2012, but it shouldn’t end. Our teachers earn appreciation from the American people every day. Collectively, they shape our nation and the world, preparing us for every crisis on earth. Individually, they do everything from wiping runny noses and spending their own money on school supplies, to forfeiting more gainful careers for a life of helping the rest of us improve ourselves. I think there is no calling more noble or worthy of our constant praise than that which falls to the devoted teachers who enrich our lives – all year, every year – in every imaginable way. In recent years, with the help of ALEC, the American Legislative Exchange Council, our school system has been under attack like never before in our country. So much blame has been placed on our hard-working, dedicated educators it is ridiculous. It comes from misinformation and faulty logic, and it’s just as wrong as saying all parents are to blame for failures in the school system, so we need to demonize parenting. To honor our teachers this year, take a close look at what’s really happening with education. Why Isn’t Closing 40 Philadelphia Public Schools National News? So the carving up of Philadelphia public schools IS a national story. It’s just one that corporate media won’t tell. Not in Philly, not in LA, not in Kansas City or anywhere, for fear that ordinary people might try to write themselves into a leading role. Polls show that the American people don’t want their schools privatized, and don’t believe education should be run by business people like a business. People want to take the money we spend on wars and bailouts and use it on education. Telling the story might give people the notion that the ultimate power is in their hands, not of mayors and chambers of commerce or the so-called “CEOs” of school system. It’s time that story was told, and more of us heard it. Changing the way we educate America’s students is a priority for three groups – parents, educators and corporatist-neoliberals. And the legislation to change our system is being pushed through by the wrong group – the ones who want to implement their corporate control fantasies. Every benefit of a school system that actually educates the people flies in the face of their profit-driven goals. They’ve done their best to ruin our schools through neglect, defunding, the demonization of good teachers and by eliminating the protections that allow them to keep teaching. So much disinformation has been spread about it that many good-hearted American parents can only see their children as the “trees”, and are helping to burn down the forest for every American student to come. Privatization, vouchers, choice, corporate scholarships, internet education – it’s all about neoliberals deconstructing the public good. They want it; they want to control it; they want to sell it; and eventually, they will decide who is entitled to it. What they’re doing is typical: 1) break it 2) get paid to privatize and rebuild it 3) and then funnel the money up to the top. It’s always the same pattern for these people. You can see it in everything they do. We’re turning the education of America’s children over to the same group – the likes of Goldman Sachs – who destroyed our economy with impunity. They’ve already come so far with higher education that extreme personal indebtedness now stunts the beginning of independent life for most students who graduate from college. And typically, they pushed through legislation to remove all the reasonable American protections against bankruptcy and credit abusers for these same students. Will a Young Generation’s Dreams Be Rescued – Or Bundled and Sold On Wall Street? Jobless or overextended college graduates aren’t even allowed to declare bankruptcy – a privilege that’s extended to every reckless investor and mismanaged corporation in the nation. Once they finally find work, college graduates face years of garnished wages to repay the loans that funded their often-overpriced educations. If they haven’t repaid that debt by the time they grow old – a very real possibility at the cost of a college education today – they’ll even be forced to surrender part of their Social Security benefits. Meanwhile banks have been slicing and dicing student loans into derivative financial instruments called “SLABS” – student-loan asset backed securities. We’ve seen this movie before – the one where big banks mass-market loans to a population with stagnated wages and dwindling economic prospects, then bundle them and sell them to investors who haven’t reviewed the way they were underwritten and sold. SLABS for Wall Street investors are a big red flag waving in our faces. And when they jack up the interest and cut the grants while increasing the salaries of college presidents, it’s neoliberalism and it’s not going to end well for the American people. As neoliberals find it reasonable to cut food money from hungry people – which is what they are doing now, how long will it be before they refuse tuition loans to anyone who might be a financial risk? This brand of corporate interference is what has happened to healthcare, the Post Office, the prison system – and everything else their blood funnels have jammed into … and it’s a long list. It always starts with “breaking” something they want to take from the public good to be controlled by corporate players for maximum profit. While America still has the finest educators in the world, why aren’t we listening to their advice about the needed changes for our education system? This opinion by Chris Hedges from last year is the best answer I’ve found to that question. Please read it. Our teachers have earned and deserve America’s wholehearted protection in the fight for better education, last week, next week, every week … they simply are not the culprits. Off topic, here, but to drive the point home, consider another recent and shocking example of planned privatization. Last year, the Chief Economist at Citigroup, Willem Buiter, announced a similar neoliberal vision for our drinking water! Chris Saladino: “This only has the worst possible outcomes. The attempts at water privatization have so far created far more problems than solutions and in most cases have actually failed. To make it worse, this kind of corporate intervention in yet another essential component of human survival has been just as unfairly dominated as food, health care, and energy. We thank our new APV member, Chris Saladino, Professor of International Studies at VCU, for commenting on the privatization of fresh water and look forward to more of his contributions in the future!